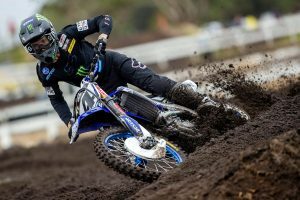 It was another dominant weekend for CDR Yamaha Monster Energy Team’s Dean Ferris at the second stop of the Pirelli MX Nationals in New South Wales as he stormed to a commanding 1-1 scorecard in the premier MX1 category. 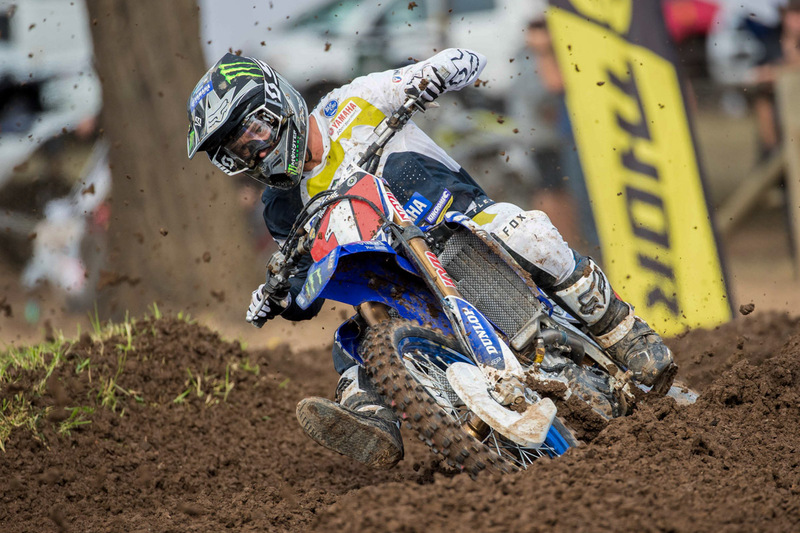 In MX2, Nathan Crawford stood atop the podium for the time first time this season and with the Serco Yamaha outfit, securing the points lead in the process. Another perfect day today in terms of race results, you didn’t make it into Super Pole, but it was a really commanding performance. Yeah, that’s the first time I haven’t made it into Super Pole – the times were so close and I thought I was riding alright, but anyway, I’ll go home and do some one lappers. 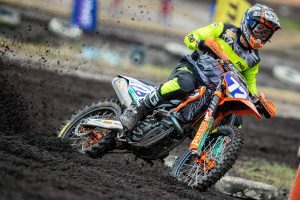 The motos were good, I pulled a good hole-shot in the first moto and I was just solid, the second moto I was second off the start and Clout kept me honest – he was running good pace. 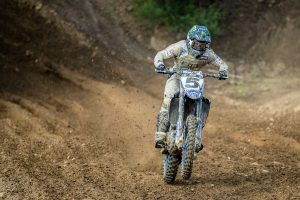 I found a bit of time on the track with a few lines, picked up the intensity and was able to make a pass – it kind of seemed difficult, and yeah, I wrapped up the second moto. I’m super stoked, it’s my third year back in Australia and I’ve won every year here, so I’m quite proud of that as well. In that first moto, Metty was there behind you for a fair bit of time, what was your game plan or mindset during that? I could hear him there, but I just stayed calm – I remember last year I just pumped up quite bad – it took me a little while to work out how to ride this track, it’s really hard-packed on that shiny line, but once I worked it out, I dropped my lines a second a lap. It seems I broke away and kept running that lap-time until the end. It was just to make sure I would be strong and not get flustered in that first moto. In the second one there was obviously that staggered start, it was pretty interesting. What was it like as a rider out on-track? It worked well and I think it was fair, because me and Clout were at the front when the race was stopped. I’m confident in my starts, but he had the lead and, anyway, it worked good for sure. Well done – you got the overall win and points lead, so it’s a really solid result and you must be stoked. Yeah I’m pretty happy, it’s only the second round and we still have eight to go – I just want to keep the ball rolling. The first two rounds have gone really good – I got second at the first round and I went 1-1 today and I now have a 23-point lead. Hopefully we can just keep the ball rolling, I’m really happy with the bike, the team and how we work together – it’s just a great group of people and I’m surrounded by hard working people. Hopefully the hard work keeps paying off. You spent that season in MX1 last year, it looks like coming back to the class and being with Serco Yamaha that you know when you get to the gates that you deserve to be the front guy and have that belief. Out of the four motos this year, I’ve won three and they’ve both been come from behind rides. I just know that I need to get good starts, if I get good starts, I’ll definitely be up the front. There are things I still want to work on, we can always get better and we’ll move onto round three. 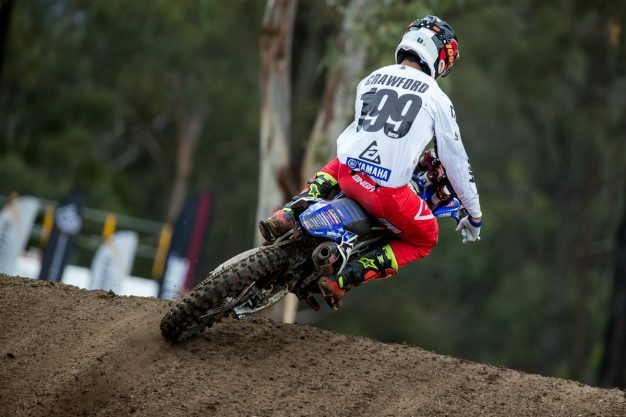 In that first moto working your way through the field, what was your mindset there? Once you got to the front, you really had the pace. I crossed the finished on the first lap in 15th and I knew I had 30 minutes to work my way through to the front, I didn’t know how far I was going to get, but I started getting fourth and fifth and would’ve been happy with a top three. I got into second with seven or eight minutes to go and just put in a hard charge – I caught Jay and got the win. That was a massive confidence-booster for me – after that first moto I knew for sure that if I pulled a good start that I would win the second one. I’m full of confidence at the moment, but I’ll just stay level-headed and move onto round three. Your track position in the second moto, getting out front behind Wilson at the start, it’s obviously a big help. I crossed the finish line second on the first lap and it was so much better – I didn’t cop roost for 30 minutes. I got into the lead on the third lap, and it felt nice to lead from the early stages of the race. I was quite happy with my performance in moto two – it was a good weekend.